What is with Sharif family’s indefatigable obsession with transport, more elaborately, means of transport? First, they pioneered the yellow cab taxi scheme in early 90’s that called for rounds of applause. Then, in late 90’s, famous Lahore-Islamabad motorway hit the headlines and this time Lahore Metro is one scintillating star. Interestingly, all of the above mentioned projects spear headed by Sharif brothers created much stir and hype among the masses and classes. Where, these flagship projects of PML (N) were applauded by one segment of society while at the same time invited massive criticism from various quarters depending upon their bend of mind. However, as a resident of Lahore and a keen observer I had seen the Lahore Metro Project unfolding before my eyes like a giant coiled python made of steel and cement. 1. Self Esteem of Public Talk about the humiliating experience old Lahore transport most of the times. With the ‘coming’ Lahore Metro, common people specially the middle and lower middle class, students and women would be able to travel in a much more dignified manner. 2. An International Outlook Well it would be rather unjust to compare 27 km of Lahore metro with about 100 km metro bus track of Tehran or 170 km of Jakarta. 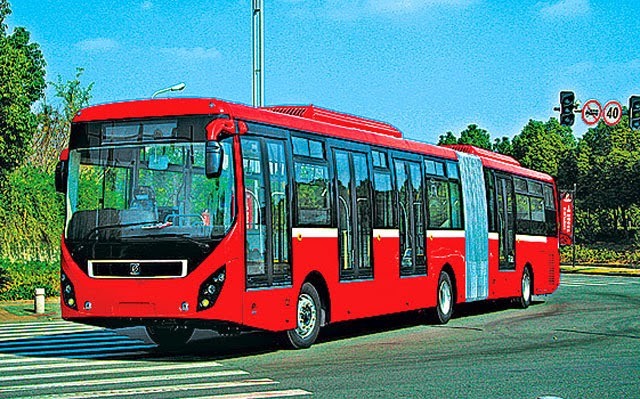 There is hardly a doubt that he project has put Pakistan in the list of about 36 countries that uses Bus Rapid Transit system including Brazil, India and Turkey. 3. Facilitation for the masses This being the sole purpose of this project is probably the best thing about Lahore Metro. An extension of a service like this to the masses is bound to facilitate millions over due course of time. 4. A Model to follow If successful, the Lahore Metro Project has all the potential to become a transportation role model for replication in other major cities of the Punjab like Faisalabad, Rawalpindi and Multan. Also the project is likely to increase the pressure on other provincial governments to come up with similar solutions. This can give rise to a healthy and desperately needed completion among the provincial governments. 5. Lightening Pace of the Project The project took almost eleven months to reach completion from the drawing board till appearance on ground. The pace of project was quite impressive for the deputy prime minister of Turkey who expressed his views on the inauguration day. For governments, it gives them an indication that where there is a will there is a way. It proves the capability of local contractors and builders as well as public gets the clear message “they” can do it if they want to. Procy Project: The cost of the project that is somewhere between 20 to 40 billion Rupees is a big question mark. With such a hefty heavy price tag was the project worth executing and Will the return on investment be as per the expectations ? These questions that could be answered in about six months time when analysis could be built upon available data. Jealousy, my friends, jealousy. A massive project of this kind is definitely bound to ring bells in the residents of other provincial capitals as well as large cities. This can also induce a sense of deprivation especially among people of KPK and Baluchistan province. 3. A road with no name It is unfortunate that till the time of its inauguration the road/route didn’t have a name of its own. Although quite a large portion of this road goes along Feroz pur road of Lahore but with Gajumata at one end and Shahdra at the other road criss crosses all the major portions of the city and should have a name of its own. A suggested name could be to name it after some low waged laborer through a draw. 4. The Maintenance, Security and Safety Aspects Electricity for escalators as well the security of buses would be a massive and important task. Unfortunately, a metro bus met a minor accident on the very first day and this raises concerns about the safety aspects. If theses administrative aspects are not handled with responsibility they can jeopardize the whole project in due course of time. 5. Not the Best Option A Rapid Bus Transit System is definitely not the best option. Setting aside the budgetary constraints an underground massive railway system on the lines of “London Underground” or “New York Subway” would have been a much better proposition. Alternatively an overhead railway metro system (which was probably perceived earlier) could have longer life, less maintenance and speedy journey. Lastly, the ugly thing about the project is that by no means it is an aesthetically pleasing venture. Although much cosmetic efforts has been done to address this aspect through excessive plantation, cleanliness and illumination etc however the unattractive steel fence along the entire length and a long winding road; hanging over the heads casting long shadows does not offer a very pleasant sight. Lahore Metro is definitely a utility but not a beauty.